In the much-anticipated match-up between the city of Detroit, and maybe even the state of Michigan, two top teams Cass Tech outlasted Martin Luther King 20-14 in a game that didn’t disappoint at Ford Field. The first quarter was a defensive stalemate the ended 0-0 with both powerful offenses being the will of the hard-hitting well schemed defenses. Star quarterbacks Jayru Campbell of Cass Tech and James Speight of King made superior passes in the first half, but neither could break into the scoring column until Cass recovered a King fumbled. Cass drove down the field as Campbell threw for his first touchdown to junior running back Mike Weber to put Cass up 7-0. After forcing a three and out the Technician offense begin to flex its muscles fueled by junior Weber decisive running which created better passing opportunities as Campbell connected with Donovan Peoples-Jones on a 70 yard bomb to put the Technicians up 14-0. Most spectators thought the rout was on — but the Crusader offense had something to say about that. On the first play from scrimmage for King, Speight hit Omari McCauley on a 65 yard TD; King went for the two-point conversion but was denied. Omari McCauley intercepted Campbell on the next drive, but the King offense turned it over on downs to close the half with the score of 14-6 Cass. With each team flashing big play potential, most fans figured we were in for a shootout and Cass did what they could to keep up their end of the scoring barrage. An extended drive by the Cass offense culminated in Campbell connecting with Christopher McDaniel on a skinny post for a TD on a critical third and 12 play. The extra point was blocked and but it seemed as if the long drive by the Technicians seemed to zap the life out of the Crusader team. The King team, or “The Hit Squad” a nickname that has been passed down through the program for years, had a different plan and Speight connected with Avonte Maddox on a 63 yard fly route and subsequent a two point conversion to cut the deficit to six at 20-14. While both offenses had opportunities to continue the scoring: dropped balls, overthrows and poor blocking made it easy for the defenses to shine. 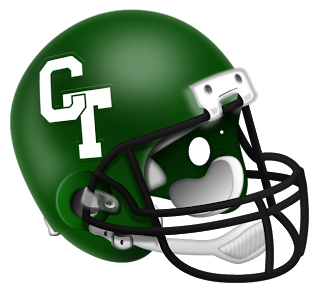 Looking for a final last-ditch opportunity to score, King stopped Cass late in the fourth quarter, but the Cass Tech defense proceeded to sack Speight three consecutive times to end any comeback hopes for King. The stars from both teams were bright on the championship stage, but the depth and skill level of the Technicians was the biggest difference in this game. The Crusaders did convince many of the fans in attendance that deterring this team from its second Division II title will not be an easy task. Now that they were finally able to get past their bitter rival, Cass has earned the right to be the football darlings of the city of Detroit, but the celebration will be short-lived as they set their sights on returning to Ford Field during Thanksgiving Weekend to defend their Division 1 State title.